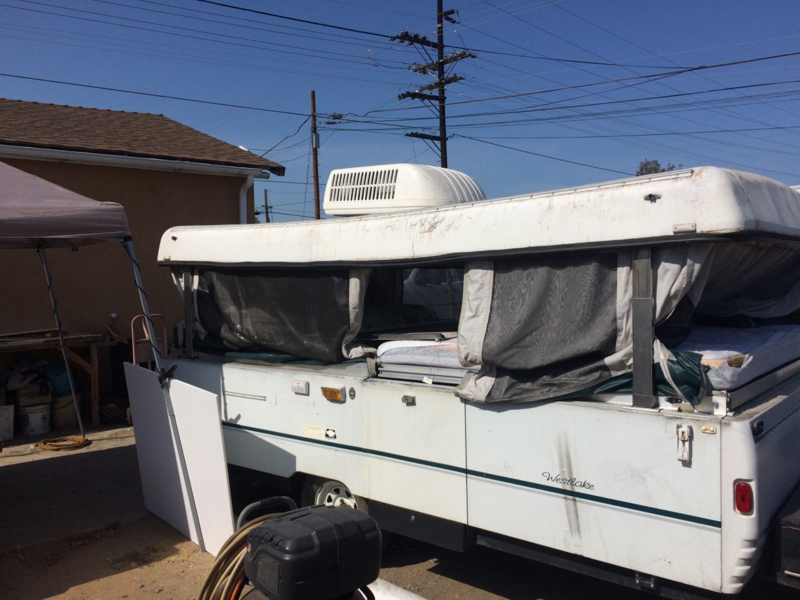 With three mechanics and over 75 years combined RV experience, we can get your tent trailer back on the road. Want to use your pop up tent trailer but the roof has seen way better days? We can help! We specialize in replacement tent trailer roofs for all makes and models like Coleman, Starcraft, Coachman, Viking, Rckwood, and more! 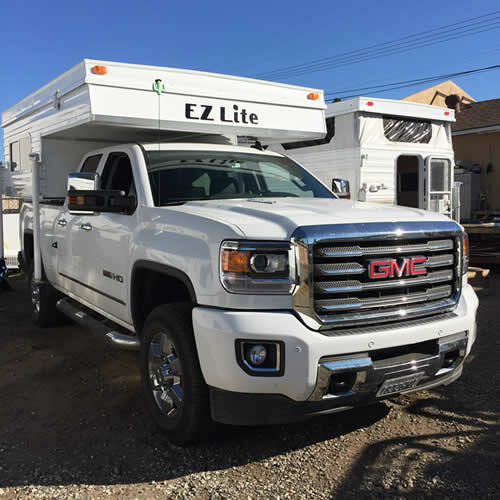 You bring your tent trailer into our shop and let us do the rest. We know how! We have built hundreds of roofs for tent trailers. 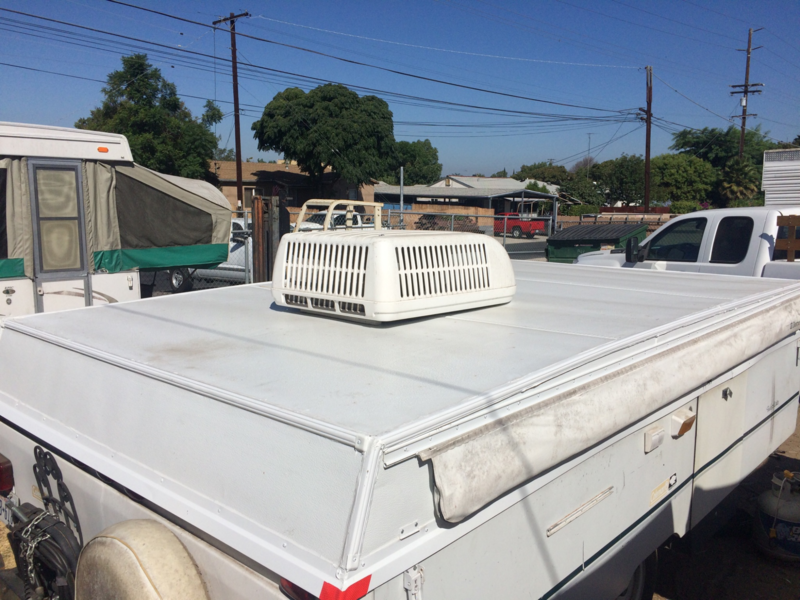 Replacement tent trailer roof manufacturing service in east county San Diego! Serving all of San Diego County, Orange County, Southern California. Give us a call at (800) 509-4703. We can help. When it could look like this?